"Amazing Grace" is a well-known Christian hymn. The words were written c. 1772 by Englishman John Newton. 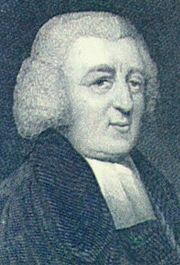 They first appeared in print in Newton's Olney Hymns, 1779 that he worked on with William Cowper. John Newton wrote this hymn after converting to Christianity In the village of Kineton, in Warwickshire, England. The hymn describes his feelings about the slave trade while on his ship, the Greyhound, in 1748. Several years later he abandoned the slave trade. Newton maintained that his true conversion did not take place until several years after the storm incident. The melody most often used for this hymn was not original (nor was Newton a composer). As with other hymns of this period, the words were sung to a number of tunes before and after they first became linked to the now familiar variant of the tune "New Britain" in William Walker's shape-note tunebook Southern Harmony, 1835. There are several tunes to which these words have been sung. "New Britain" first appears in a shape note hymnal from 1829 called Columbian Harmony. Shape Note version from 1835. The melody is believed to be Scottish or Irish in origin; it is pentatonic and suggests a bagpipe tune; the hymn is frequently performed on bagpipes and has become associated with that instrument. Another tune is the so-called "Old Regular Baptist" tune. It was sung by the Congregation of the Little Zion Church, Jeff, Kentucky, on the album The Ritchie Family of Kentucky on the Folkways label (1958). It has also become known as a favourite with supporters of freedom and human rights, both Christian and non-Christian, in part because many assume it to be his testimony about his slave trading past. The song has been sung by many notable musical performers, including iconic folk singer Judy Collins. The hymn was quite popular on both sides in the American Civil War. While on the "trail of tears," the Cherokee were not always able to give their dead a full burial. Instead, the singing of "Amazing Grace" had to suffice. Since then, "Amazing Grace" is often considered like a Cherokee National Anthem. For this reason, many contemporary Native American musicians have recorded the song. 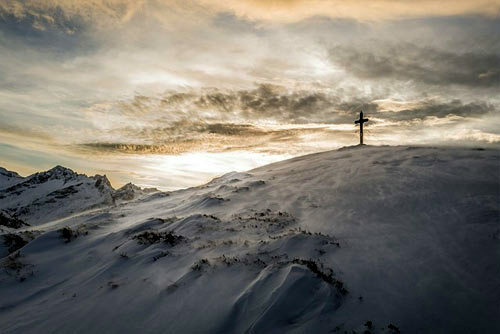 In recent years, this song has also become popular in America with drug and alcohol recovery groups, particularly Christian ones, at celebrations of how they "once were lost, but now are found." In her novel Uncle Tom's Cabin, Harriet Beecher Stowe includes an extra, final verse which may have been taken from another hymn. The additional verse is part of most hymnals today. Whereas the original lyrics were penned by John Newton in 1779 (stanzas 1-6), this additional verse (stanza 7) was added by John P. Rees (1828-1900) in the nineteenth century. Some modern hymnals change the second line, "that saved a wretch like me" to "that saved and set me free". The Cherokees sang this version of the song as they were forced to walk along the trail of tears. The association with bagpipes is relatively modern; for over a century, the tune was nearly forgotten in the British Isles until the folk revival of the 1960s began carrying traditional musicians back and forth between the British Isles and the United States (where "Amazing Grace" had remained a very popular hymn). It was little known outside church congregations or folk festivals until Arthur Penn's film Alice's Restaurant (1969), in which Lee Hays of The Weavers leads worshipers in singing "Amazing Grace."